ASIDE: I’ve been letting unfinished blog posts build up again to unmanageable levels, so this afternoon while I’m waiting for the next batch of Rubenerd Shows to upload to the Internet Archive, I figured I’d get through some of them. The timestamp on this post is dated 17th of January 2009. With all the recent talk and news surrounding the conflict (to put it mildly) between Hamas in Gaza and Israel, I thought I'd share a somewhat related story of my own that occurred back in 2006. I had been in Adelaide for over a year and had made it a habit of visiting this one particular restaurant for takeaway that made the best Lebanese food I'd ever tasted. Come to think of it I hadn't really had Lebanese before so I didn't have a basis for comparison, but even after I had moved with my family to Malaysia and I had more opportunities to sample Lebanese food, my opinion didn't change. These guys were good! Chicken yiros/kebabs made fresh in front of me with plenty of veggies and sauce… my mouth is watering thinking about it! As a consequence of going there so often I became friends with the owners and their son. It's such a good feeling to be able to travel to a place and have a chat while they make me "the usual"! They were extraordinarily friendly folks. I guess you can see where this is going. 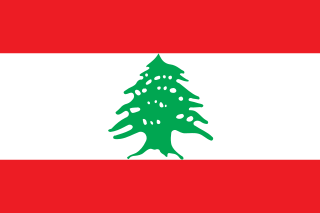 In late 2006 the tensions (again putting it lightly) between Lebanon and Israel began to flare up and soon war was happening. While Australia is such a multicultural and diverse country with people from all over the planet, there were unfortunately more than a few thugs who took it upon themselves to ransack Lebanese restaurants and the homes of Lebanese families by breaking windows, spray painting Israeli and Jewish symbols on their walls etc. To be fair I suspect Hebrew communities suffered from opposing groups as well. My friends' restaurant fortunately escaped the carnage but they were understandably worried. As I walked in one afternoon they were watching the TV news mounted on the wall and shaking their heads. I asked them if they had any relatives in Lebanon and whether they were okay. The dad (bothering me that I can't remember his name) said that I was the first to ask them. Fortunately their family was safe. It struck me how divisive and scary such a conflict can be, even if it's thousand of kilometres away. This poor family were being accused of being "terrorists" and "supporting enemies of Israel", when they had not done a damn thing. I think at times we can all be guilty of painting entire groups of people with one brush due to the actions of political, military, business, religious or spiritual leaders, and it's just wrong. Unfortunately I admit I've been guilty of this this myself in the past. I also think it's important to remember that while we're told that such conflicts are between Israel and Lebanon, or Israel and the Palestinians, or Georgia and Russia (and that's only a tiny range from just the last few years), they're just worthless, hollow labels. What these conflicts involve are human beings, with families, friends, loved ones and dependants. You can get as politically or religiously heated as you want, but it still doesn't change this fact. I haven't been back to that Lebanese restaurant in North Adelaide for a while now, but I'm looking forward to going back there when I return to Adelaide to study.